With even more rugged good looks and handsome features than ever before, the newly redesigned 2016 Toyota Tacoma is the perfect pickup truck for you. Robust and capable, this mid-size masterpiece is waiting for you to climb aboard at Lakeland Toyota in Lakeland, FL, serving the communities of Brandon and Plant City. We're offering spectacular discounts on these tried-and-true trucks on our lot right now, so if you're ready to pull the trigger on the gorgeous Toyota Tacoma, let's rev the engine right now! Let's check out how the 2016 Toyota Tacoma competes against the Nissan Frontier. We're going to assume, even though the 2016 Toyota Tacoma is a gorgeous specimen, that you didn't purchase or lease one just to stare at it! Of course, you'll be doing a lot of driving around central Florida and beyond, so you'll appreciate the fuel economy much more in the Tacoma than you will in the Nissan Frontier. You'll be impressed by the Toyota Tacoma's incredible numbers, with an EPA-estimated 21 city/25 highway mpg. By contrast, prepare to pull to the pump a whole lot more in the Frontier, which only garners 19 city/23 highway mpg -- and those two miles in both city and highway driving make a huge difference, if you ask us! Brainy, beefy and brawny, the triple-threat 2016 Toyota Tacoma will provide you with wise, muscular powertrain options via its two engines offered. Under the hood sits a 2.7L 4-cylinder engine with 159 horsepower or the new 3.5L direct fuel injection V6, which produces massive horsepower. They're joined by either a 6-speed automatic or 6-speed manual transmission, depending on the engine. 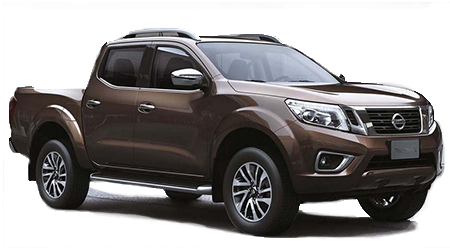 By contrast, the Nissan Frontier presents two engines-- a 2.5L 4-cylinder with 152 horsepower or a 4.0L V6 with 261 horses, mated to a 5- or 6-speed manual or a 5-speed automatic. With more horses in the engine race and transmission choices, the 2016 Toyota Tacoma keeps this crown. The cutting-edge 2016 Toyota Tacoma is loaded with standard technology that won't be found in the Nissan Frontier. The Tacoma features a 6.1-inch touchscreen audio system with iPod interface, Bluetooth, and a multimedia bundle, which is either unavailable or an option in the Frontier. 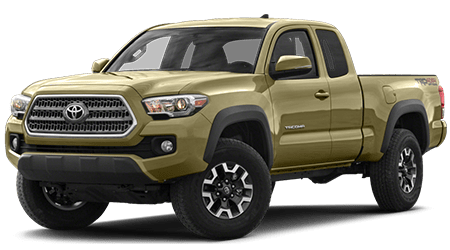 Plus, power windows, locks and air conditioning are standard in the 2016 Toyota Tacoma, while you'll have to manually roll down your windows to cool off in the Frontier, which doesn't include standard A/C.